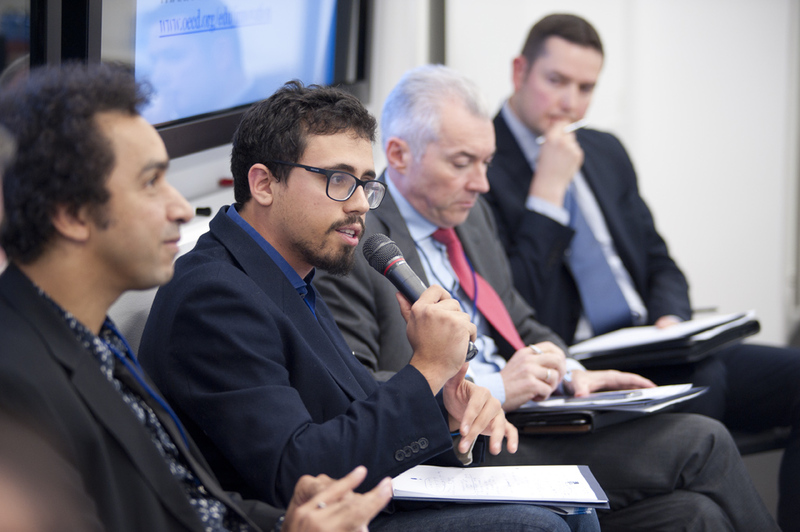 Davide Cannata is the Deputy Chairman of our Youth Council for the Future and represented us and “My Europe” during the IE University’s International Conference on Reinventing Higher Education as a panelist. I have met with him to talk about his experiences. The IE University has recently organized the 5th edition of their International Conference on Reinventing Higher Education in which you participated. What was this year’s theme of discussion and who were the attendees? The conference was composed of 4 different panels. I participated in the introductory one, called “Beyond Bologna, targeting new priorities in Higher Education”. The main topics were core-competencies, innovation, employability, international programs, flexible curriculum and evaluation. Four more people were talking in the introductory session: Stéphan Vincent-Lancrin, researcher at the OECD; Thomas Estermann, representative of the European Universities Association; Paul Norris, from UK NARIC and Kurt Deketelaere from the League of European Research Universities. Regarding the Bologna Process and its implementation, were the opinions of the representatives of different professional fields convergent or divergent? Were their opinions different from the insight that you, as a student, have on higher education? Summing up, I found that common positions were more frequent than the divergences. Most of the people at the conference agreed on the importance of the Bologna Process as well as the consistently insufficient results. The ambition of the process was in fact undermined by the actual implementation in the European framework. For example, countries are still really different in terms of the amount of funds given to higher education. Were there solutions proposed for the discussed issues regarding Bologna or was it only a problem-finding session? The goal of the conference couldn’t have been a problem solving role. That would have required a discussion of the present laws, the agreement of different representatives and much more time. We can say that it was a problem and opportunities-finding session. The main question was: What can we do to align university with the rapidly changing contemporary world? So it was necessary both to find problems and to present new needs and discoveries. What was the consensus on the liberty students should have on choosing subjects and managing their studies? How much freedom is enough for comfort but complying with the credits system and the established curricula? It was a hot topic and it mixed two different ideas of student flexibility. Flexibility about the subjects and flexibility about how to confront the subject. Those who saw flexibility mainly as the choice of subjects were mainly apposing too much of it. Although it might be cool studying a bit of political sciences, a bit of economics and a bit of philosophy (just to make an example), the resulting profile could not meet the criteria required to enter the professional world. More positive was the vision of those who considered flexibility especially as concerning a more flexible work of the students inside their classes. It was differentiated between the possibility of being flexible at different levels (bachelor-master-PhD) and the general idea was that flexibility can augment through the education. How are evaluation methods to be changed/improved? How much regulation is enough for an objective comparison of results but not restrictive of the universities’/instructors’ liberty to choose how to grade their exams? This was another important topic. Here the main problem seems to be the different way of evaluating people across different countries. In Italy, for example, oral sessions are more common, while in Spain most of the evaluation works through multiple choice exams. Furthermore, it’s really different to convert the grades from one nation to another and it is a problem during international exchange. There should be a better understanding of the main goal of grading students: Is it about giving them a score to present to companies (that in most of the cases are not so concerned about it) or giving them a feedback, a confrontation and a further learning moment? Choices of evaluation methods should start from there. Overall, how was your experience at the conference? Have any prospective themes been proposed for next year’s conference? My experience was really satisfying. My voice was recognized and it flattered me. Moreover, I learnt many things from different people talking about the future of European Education. What was underlined by many was that in the process of forming competitive professionals, it is always important to focus on the core competencies of the students. Internships were also viewed as an important way to contribute to the professional growth of a student. There wasn’t a proposal to set up next year’s agenda. I hope that what has been discussed at the RHE conference will be material for political discussions in the coming years. I would just like to thank you for the interview and wish you the best. 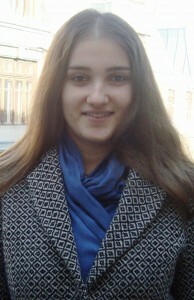 Elena (20) is a member of the Youth Council for the Future. She is involved in “My Europe” since the workshop in Bucharest in 2011.